During the first semester, instruction is mostly provided in lectures, while in the second and third semesters active and creative participation is required. Students should be able to learn and study independently. A large number of lectures are accompanied by laboratories in order to immediately apply and deepen the theoretical knowledge. An essential part of the program is the project work: in the third semester, students are required to work in intercultural teams and apply the project management methods they have learned. The fourth semester is reserved for the master thesis which can be executed either at a company or within the university. Lectures, lab works and projects in the CME master's degree program stress the different aspects of Communication and Media Engineering and are rounded off with software related and non-technical courses. Disclaimer: The only legally binding document is the Studien- und Prüfungsordnung (StuPO), Version 20172. In case of doubt, please refer to the StuPO. A "lab work" is the realization of experiments in modern, well-equipped laboratories. It allows students to transfer theoretical knowledge into practice. 1) English translation of the"Regulations concering Study and Examinations (RSE)", valid for students who have started their studies before winter semester 2014/15. 2) English translation of the "Regulations concering Study and Examinations (RSE)", valid for students who have started their studies in winter semester 2014/15. 3) English translation of the "Regulations concering Study and Examinations (RSE)", valid for students who have started their studies in winter semester 2015/16 or later. 4) English translation of the specific regulations for CME of the "Regulations concering Study and Examinations (RSE)", valid for students who have started their studies in winter semester 2017/18 or later. Please be aware that the translation in excerpts is for the purpose of information, only. The German version is the legally binding document. 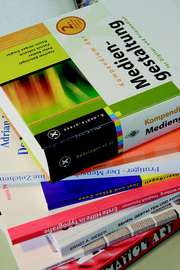 The German versions of the "Regulations concerning Study and Examinations (RSE)" can be found here.